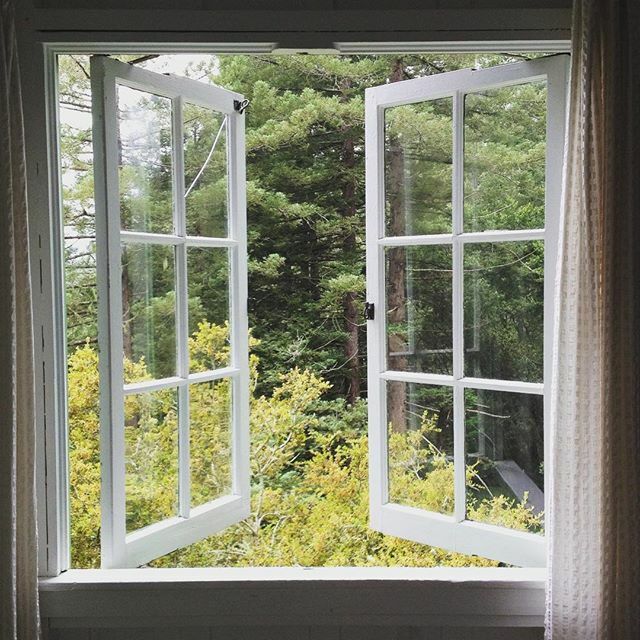 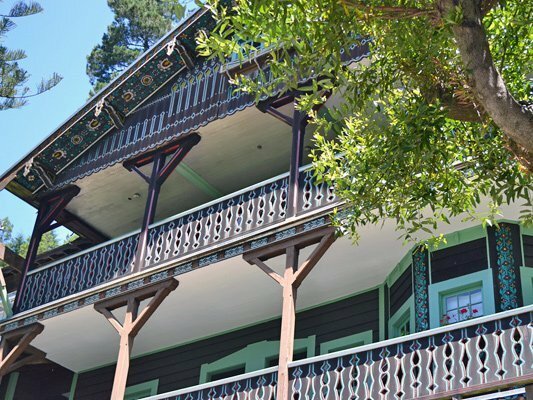 On June 12, 1912, a group of five Austrians and Germans living in the San Francisco Bay Area formed a local chapter of the Nature Friends (Die Naturfreunde), an organization for lovers of nature and outdoor activities that was founded in Vienna, Austria in 1895. 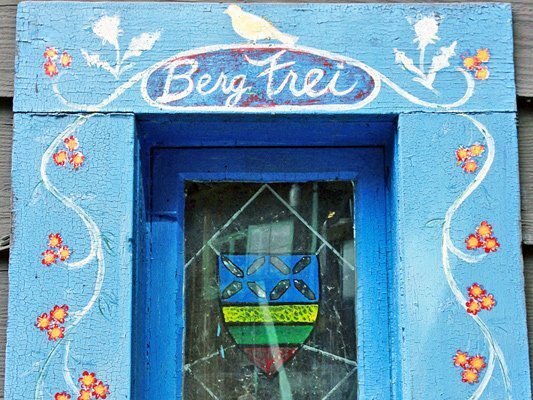 Most of the first San Francisco Nature Friends were also members of Deutscher Arbeiter Bildungsverein, ABV (German Workmen's Educational Association). 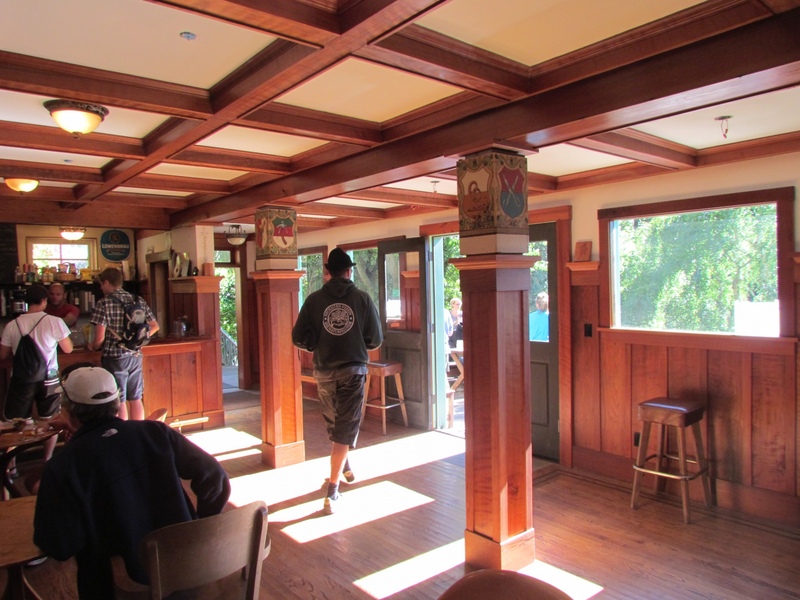 Their first meetings were held at the ABV Clubhouse off Valencia Street, called “Quality Hall,” at 141 Albion Street in San Francisco. 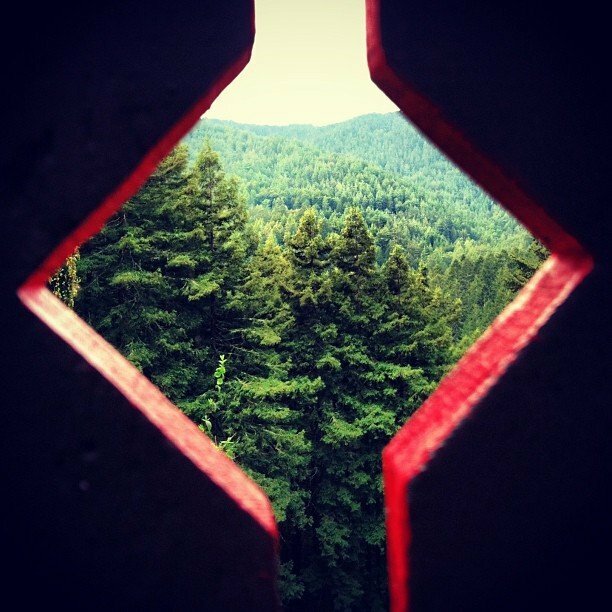 In those days before the construction of the Golden Gate Bridge in 1938, the Nature Friends had to travel for hours from San Francisco to reach their favorite hiking and camping sites in Marin county, first by ferry across the bay, then by train from Sausalito to the little hamlet of Mill Valley (population 2,500), then by foot or rail from Mill Valley up the mountain to hike and stay in various campsites then popular on the mountain. 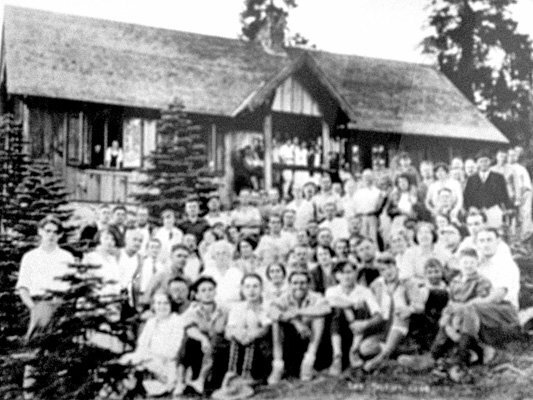 Member "William" (Wilhelm) Heidelmann, an immigrant from Austria, purchased the cabin from the owner, Mr. Rosenberg, in November of 1912, and the deed was registered under the name “Touristen Verein: Die Naturfreunde.” The members visited and camped near the cabin, which had no sleeping accommodations. 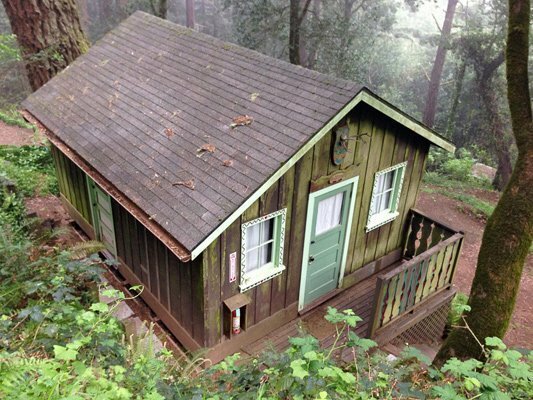 The cabin was quite shabby and needed a lot of work, as did the access path and surrounding area which would need to be terraced. 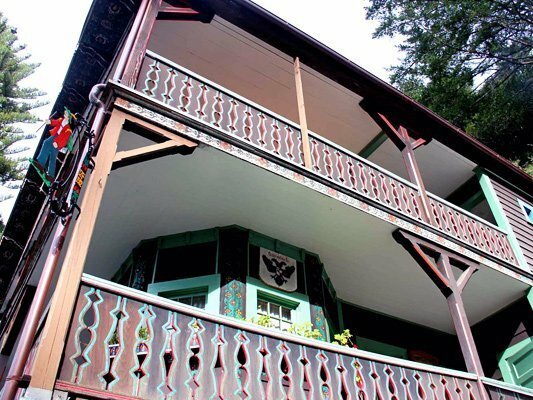 The members set to work, and on August 13, 1913, the completely renovated cabin was officially open. 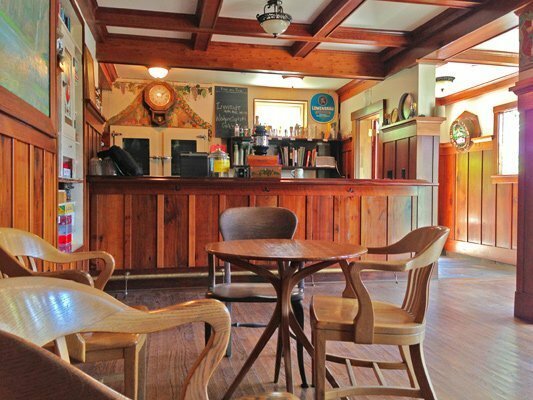 It was not long before the members decided they needed something bigger and better. 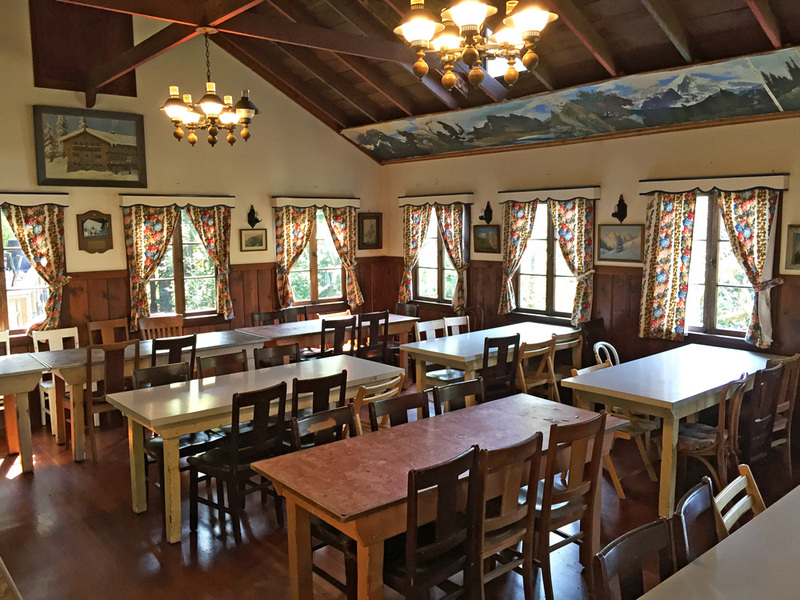 Work on a genuine German/Austrian alpine chalet began in 1915. 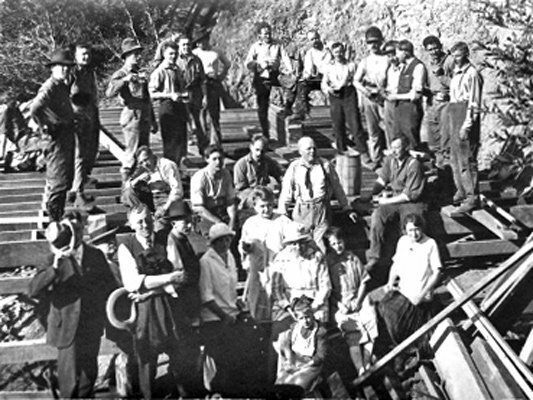 Members did all the work, pulling materials and supplies across the mountain by mule and manual labor long before the Panoramic Highway up Mt. 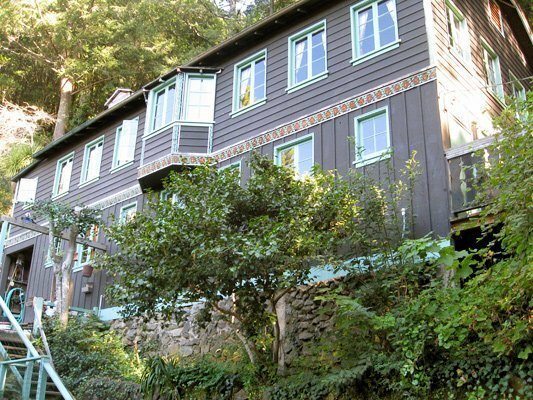 Tamalpais was built in 1933. 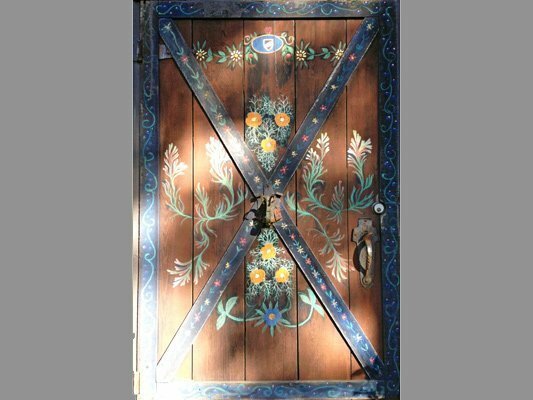 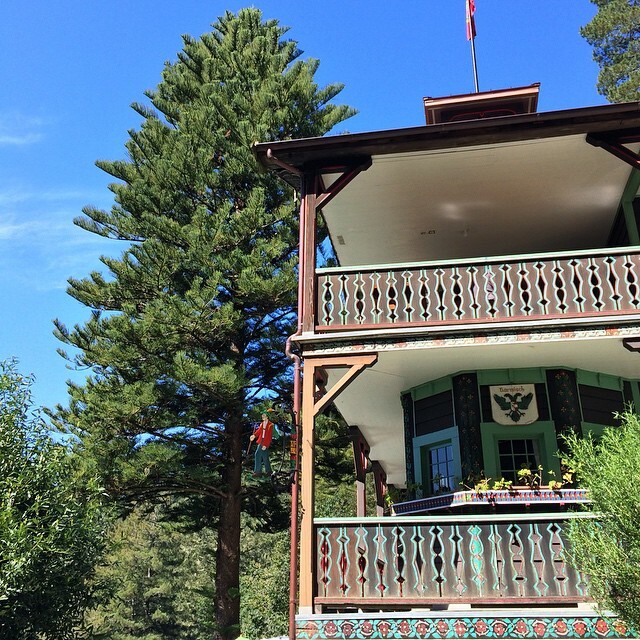 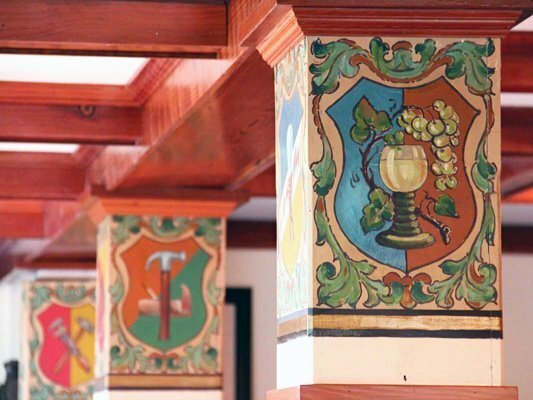 The lodge was extensively decorated with Bäuerliche Malerei, traditional folk paintings. 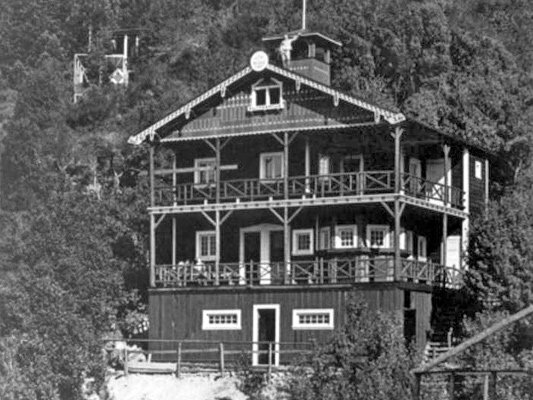 The new lodge was mostly completed by August 1917. 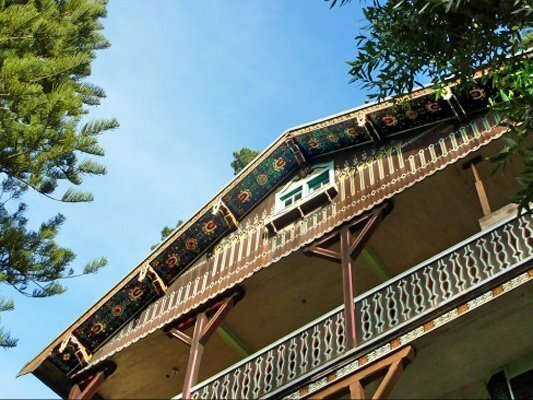 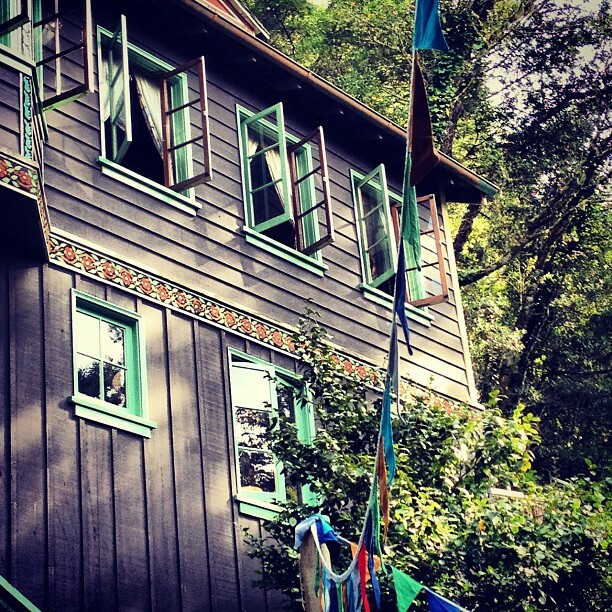 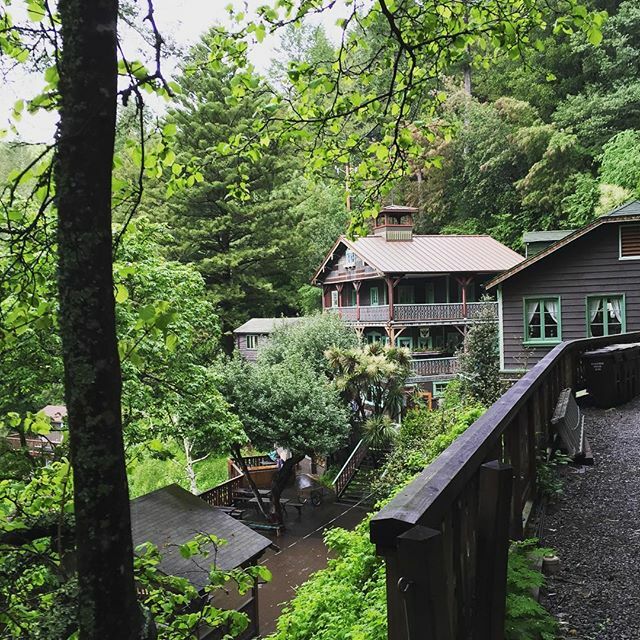 This is the building that we know today as the Muir Woods Clubhouse. 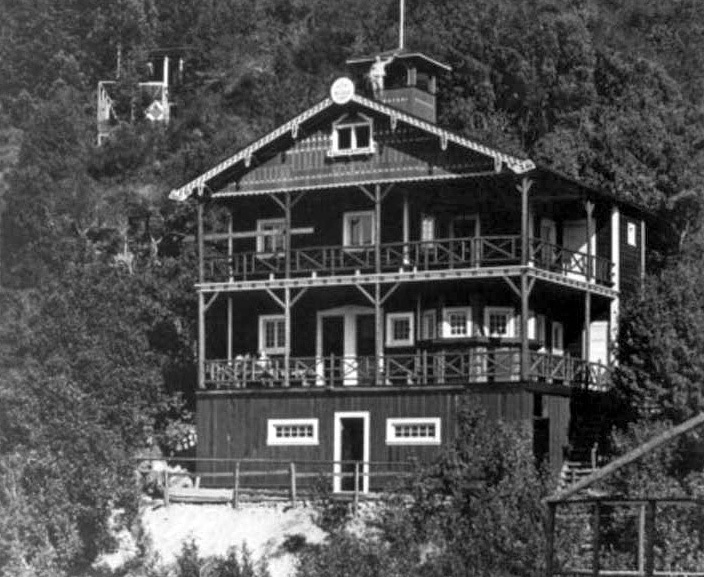 By 1926, adjacent lots were purchased, and additional buildings erected. 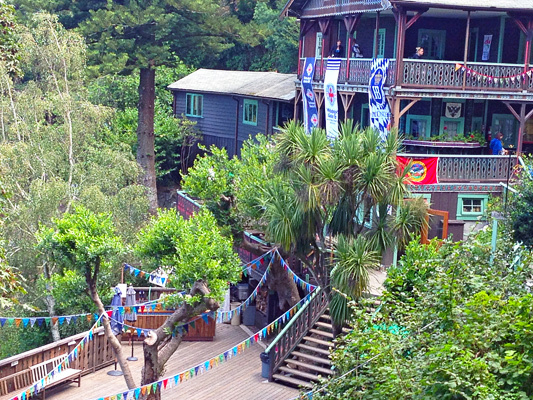 The original lodge still exists, though much transformed by additions and improvements in the intervening years. 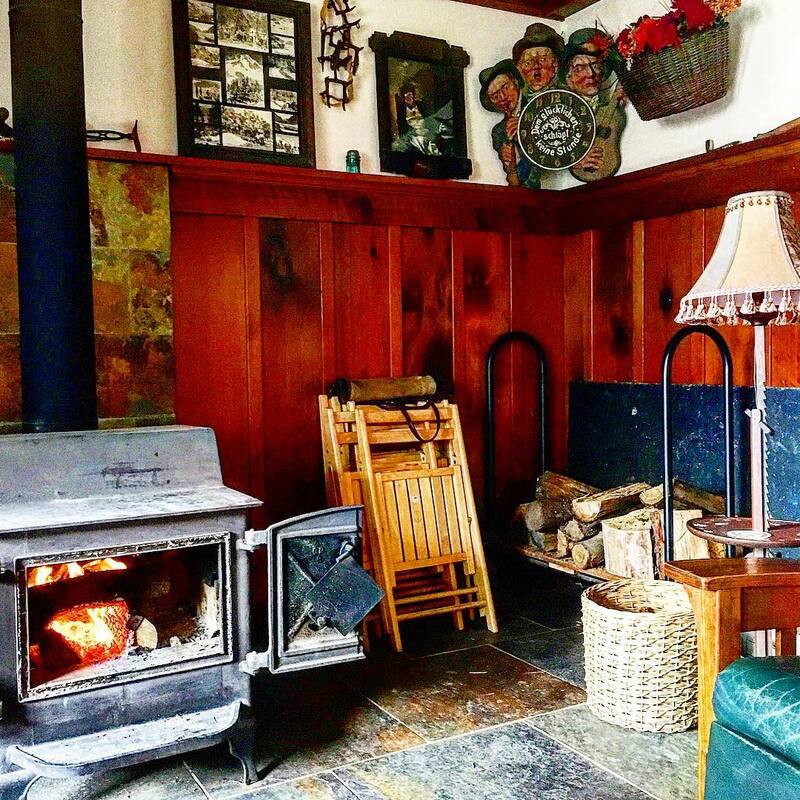 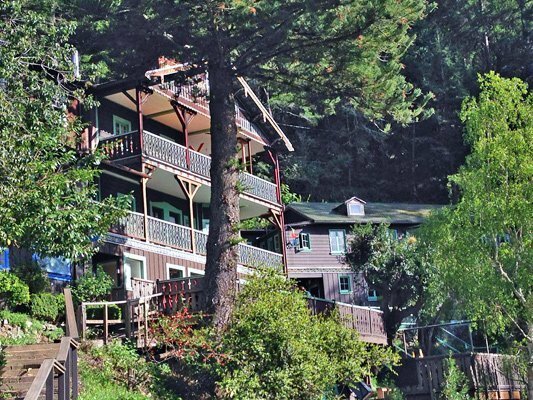 Other buildings, cabins, decks, and improvements have been contributed through members' labors on monthly work days and in generous team and individual efforts throughout the year. 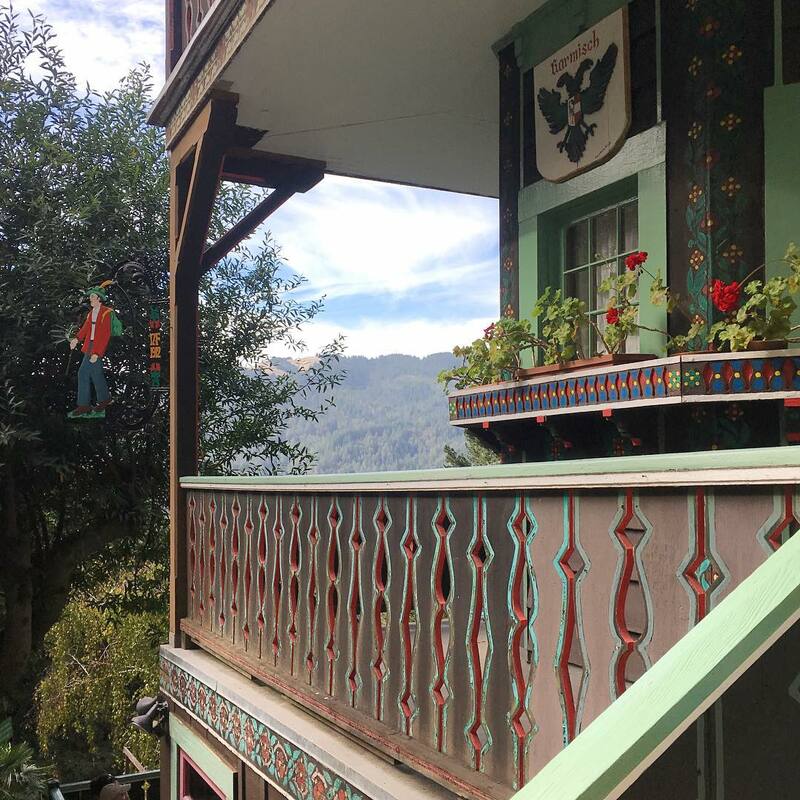 There is always something that needs repair or improvement, or would look more cheerful and inviting with a colorful alpine decoration. 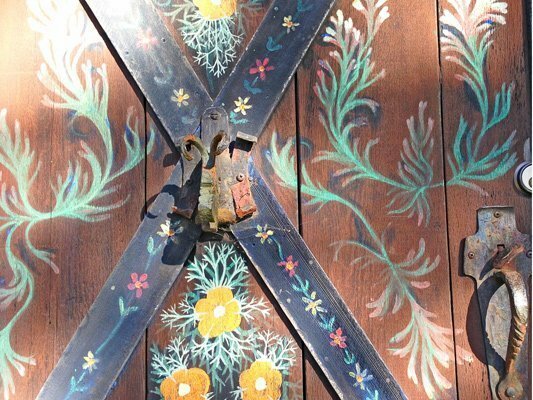 Members have decorated the club buildings with Bäuerlicher Malerei, traditional folk painting. 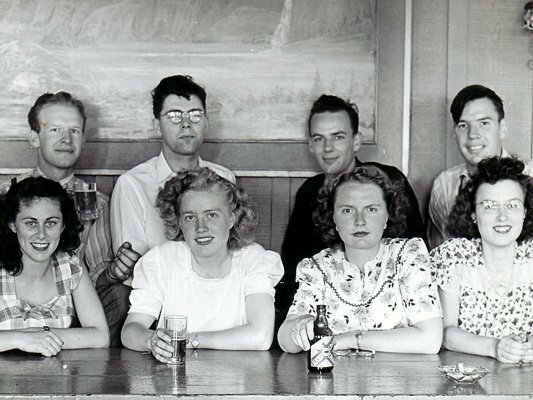 As with the earliest members, our activities continue to include hiking, mountaineering, camping, skiing, snowshoeing, bicycling, excursions, socials, festivals, dances, and singing organized by and for the members. 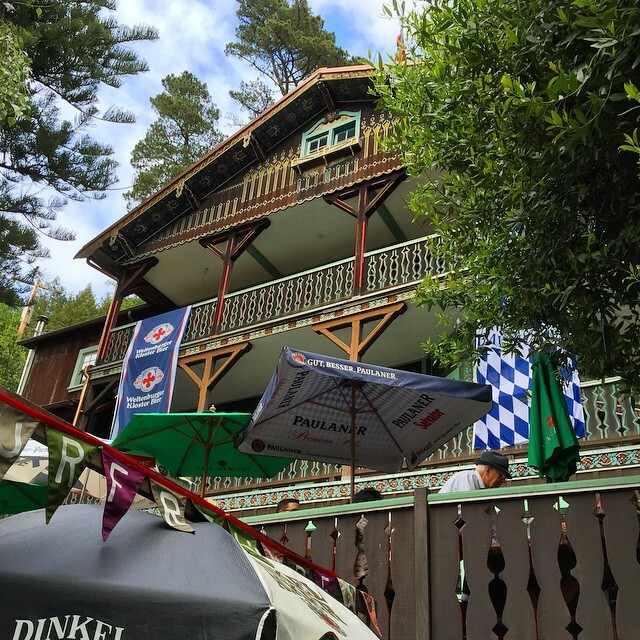 The Alpine heritage is still very present during our social events and in our popular annual fests. 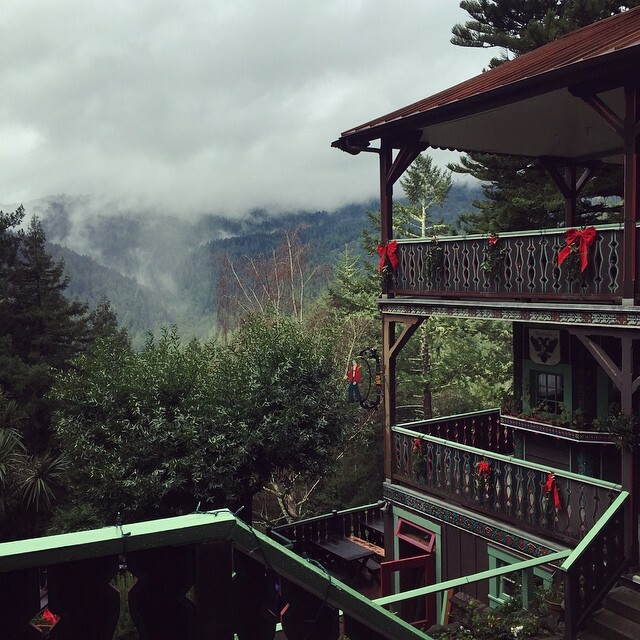 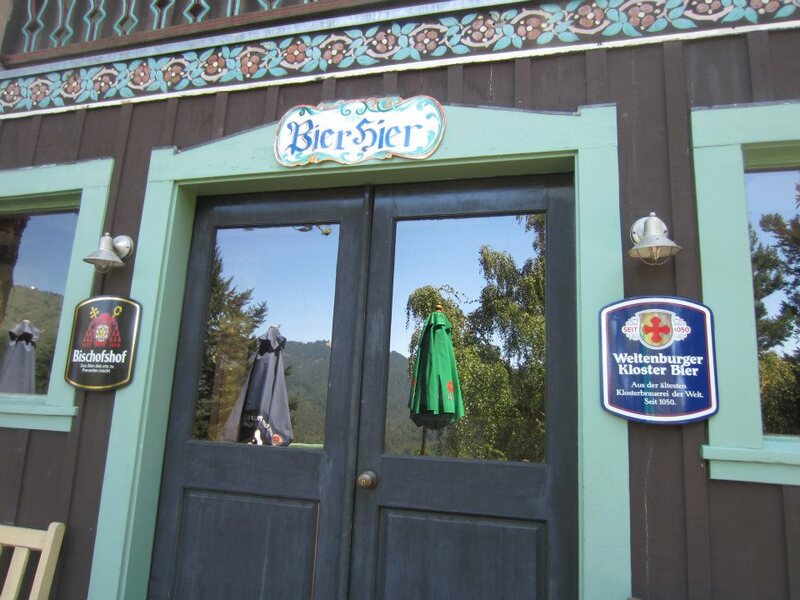 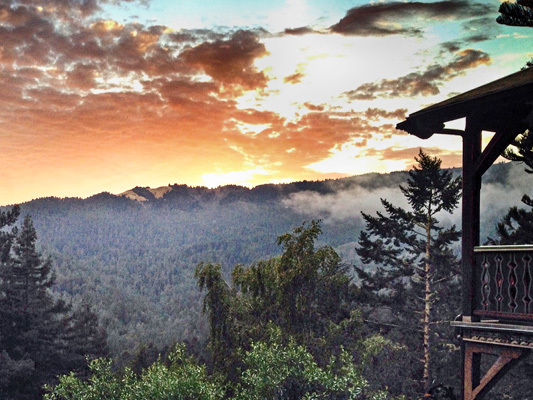 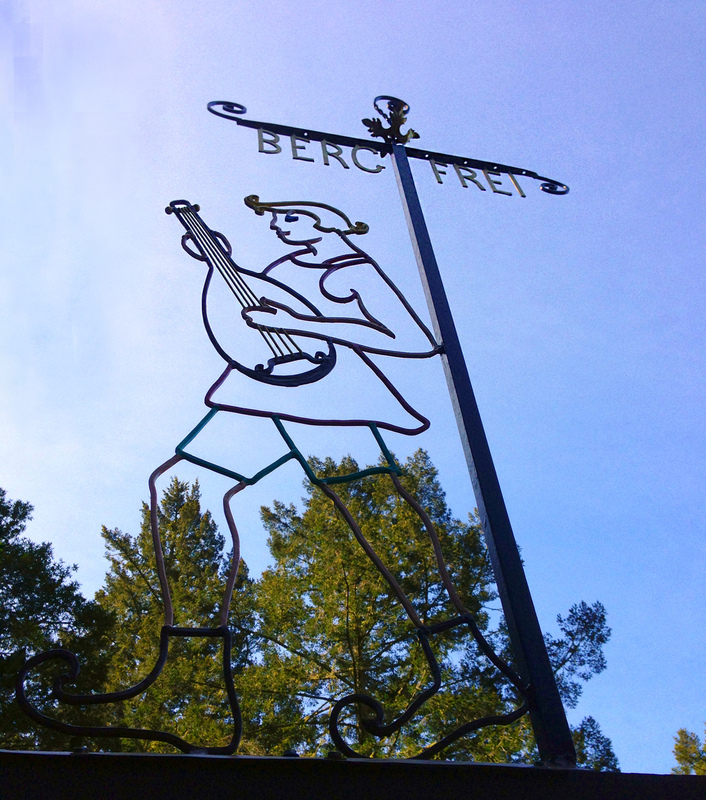 Fests are held in May, July and September (Maifest, Sommerfest and Oktoberfest / Kinderfest), and feature authentic German music, food, beer, decor and ambiance; all in a secluded rustic setting in a redwood forest overlooking Muir Woods. 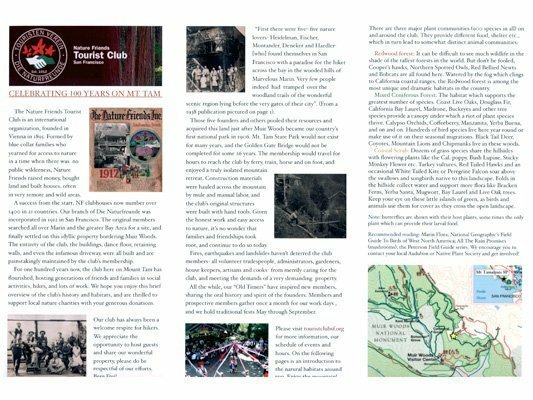 Our brochure, available at the club during guest events, contains details about our club's origin and history, as well as information about the natural history of Mt. 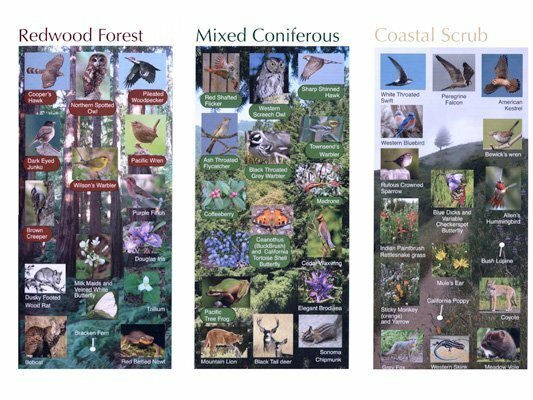 Tamalpais, with full-color photos of local flora and fauna, including a description of our various local plant communities, and a small map of the area. 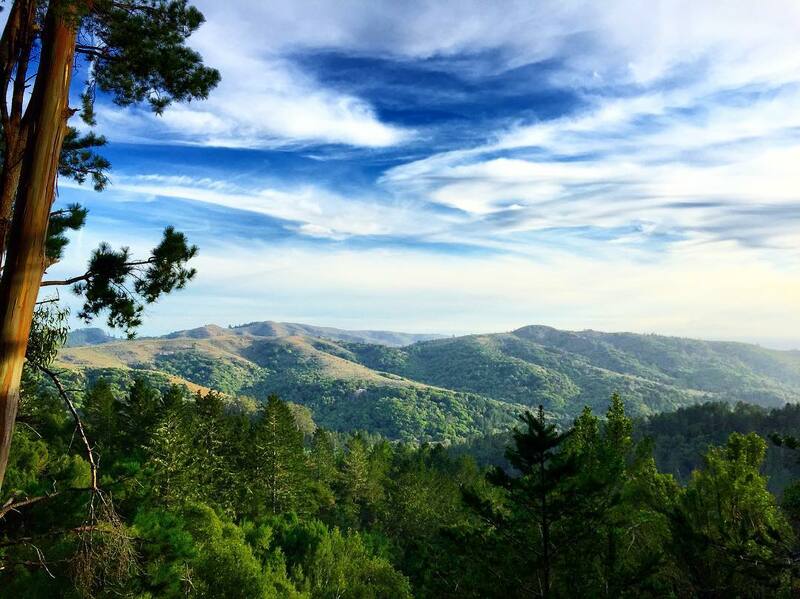 Your donation for this brochure benefits the Into the Redwoods program at Muir Woods National Monument, which brings elementary school kids to Muir Woods from schools all over the Bay Area.